Price- 1-2 inch, $10 each, unsexed. $8.50 under 1"
Email for larger, or sexed fish Availability. The Top pic is a young, just about ready to breed male. The 2nd pic is a young female, not yet carrying eggs. on each fish is different. into its full adult coloration, and ready for sale. disappear shortly and is totally normal. 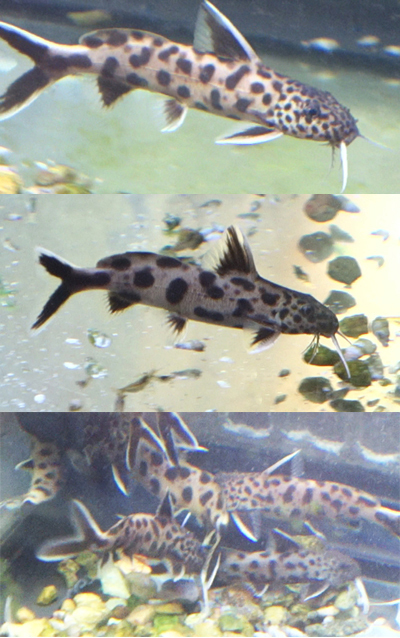 the fry of this attractive and easy to keep fish, we are finally able to offer these for sale in limited quantities. 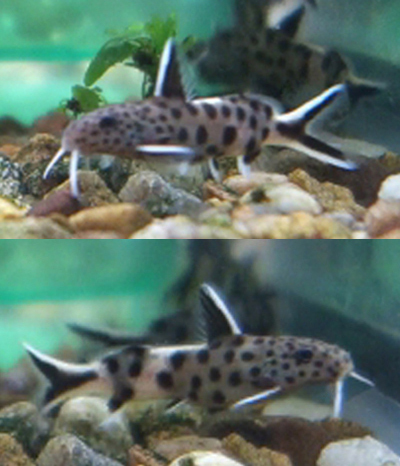 black spots, and we have recently begun to selectively breed this fish for a lighter background against high contrast spots. hide together in plants or rockwork, and prefer secure places to keep going back to as they patrol the tank. 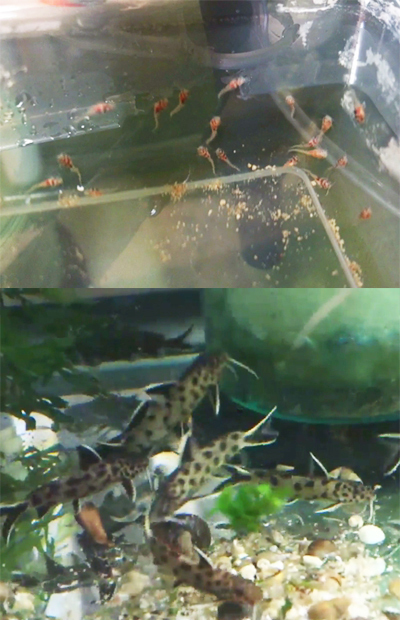 They will eat most fish foods, and do best on a varied diet of foods that are both carnivorous and vegetable based. This line has never been exposed to or bred using hormones. For more information on this fish and its care requirements, click HERE. and nicely colored as naturally bred fish. or triggers to force them to spawn. selective breeding of exceptional fish!